These days, even the smallest of details count when trying to get new customers and drive business growth. Nothing highlights this better than one tiny detail that is really easy to overlook: Your local listing. Though they might seem like just small details at first glance, business listings are actually crucial for local businesses. Your business listing includes your business’s name, address, and phone number (referred to as your NAP). In this article, we’ll discuss how having these details wrong can hurt your business and what you can do to make sure that customers are able to discover your business. When potential customers discover your business online, most of the time the first thing they will look at is your business listings on sites like Google and Facebook, which usually show up high in related search queries. In order for customers to be able to visit your business, they need to know what your name is, where you are located, and how they can contact you. If your business listings are wrong, it’s going to hurt your bottom line. Customers will be confused if your business has inconsistent locations online. Wrong numbers and wrong addresses will leave them wondering how to reach you. Without accurate hours of operation, they might show up when you’re closed and go home frustrated. Or worse: they go to your competitor. Having confused customers is not good for business. 68% of customers said they would stop using a local business entirely if they found incorrect information online. Every incorrect listing that you have means lost revenue. Having the wrong number or the wrong phone number isn’t the only thing that you should be worried about. Even a tiny difference between sites in business listings can cause negative repercussions for your business. Although small differences between street abbreviations might not matter for customers, they do matter to Google. It’s not just customer confusion that you have to worry about. Remember, when a customer searches for businesses near them, search engines aim to give them the best results. To determine these best results, search engines take the same factors into account that a business does. Consistent business listings are a major factor in Google’s search algorithm. 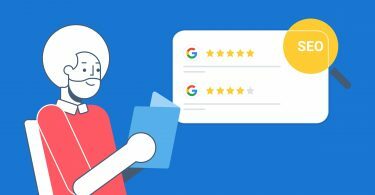 Just like accurate listings make your business look more trustworthy to customers, they also make them look more trustworthy to Google. According to Moz, citation signals- which include NAP factors- account for 10.82% of Google’s ranking signals. Again, it’s important to pay attention to the smallest details. 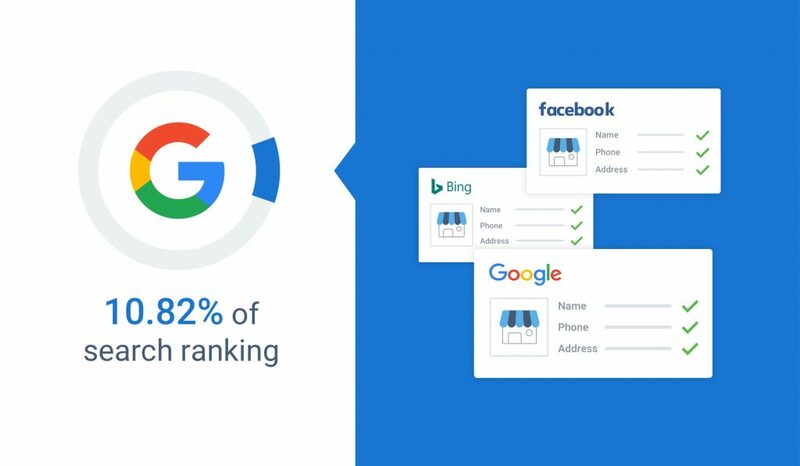 The more your correct name, address, and phone number show up on legitimate listing sites across the Internet, the better the citation signals being sent to Google. Something as simple as different street abbreviations in different listings can end up hurting your business in rankings. Unfortunately, lots of business owners don’t have time to comb through the entire Internet and search for places where their current listings are inaccurate. Even after completing business profiles for major sites such as Facebook and Google, there are lots of other listing sites that need to be changed. The big sites are very important to pay attention to since that’s how most customers discover your business. But just having the right information on Google and Facebook isn’t enough. The more consistent your local citations, the higher your search ranking and the more new customers who are discovering your business. Now you know why local citations are important for both customers and search engines. Let’s talk about what you can do to make sure that your listings are accurate and your business is getting discovered. We’ll take you through some easy steps you can take to update your listings and get more customers. All of your business listings are important. However, some listings are more important than others. Google My Business is the most important listing for any business. For many new customers, your Google My Business profile might be the first exposure of any kind that they have to your business. 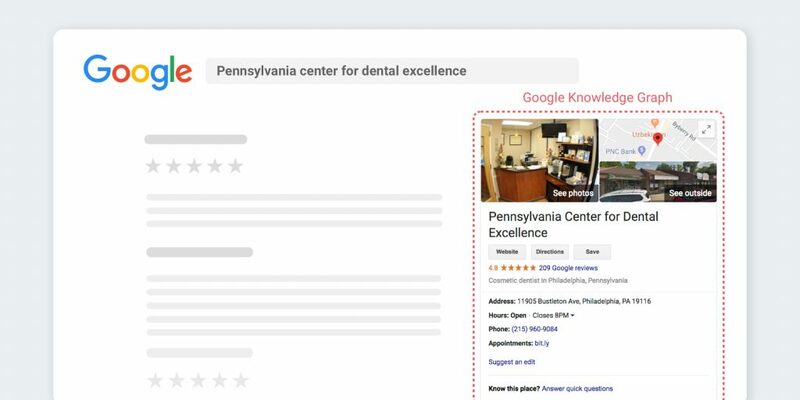 Customers see your Google My Business profile on the “Knowledge Graph” on the right side of their screen when they do a Google search for your business. Because of its prominent place on search, customers will probably see your Google My Business before they see your actual website. It’s important to make this first impression a great one. Without accurate listings and a claimed profile, your business will not look trustworthy and customers might have trouble contacting you. The first thing you have to do is either claim or create a Google My Business profile. Most existing businesses have an existing Google My Business profile. In this case, all you have to do is claim your profile and make updates. If you have a relatively new business, you’ll probably have to create a new profile. Click here for our guide on setting up a new Google My Business profile. Though this may seem obvious tip, lots of businesses are not taking advantage of this service. 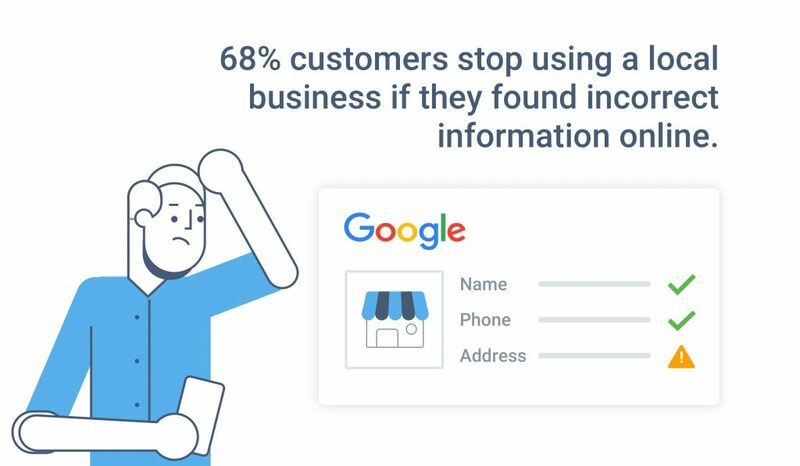 Research shows that 44% of businesses have not claimed their Google My Business profile. That means that lots of businesses are losing out on potential customers. Plus, your Google My Business profile is especially important to Google’s algorithm. According to Moz, Google My Business factors are the single most important factor in determining Google’s local search. Without an accurate Google My Business profile, the chance of customers discovering you are reduced significantly. Once you have the accurate name, address, and phone number on your Google My Business profile, you can make sure that this information is the same across all your business listings. Remember, you want to make sure your other citations are consistent with the ones that Google has to help your search ranking. Google My Business isn’t the only profile you should be paying attention to. BirdEye also creates free profiles for local businesses. 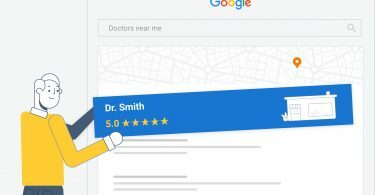 These profiles display reviews from all over the Internet, from review giants like Google and Facebook to industry-specific sites like Angie’s List (home services) and ZocDoc (medical). Claim your BirdEye profile and make sure that your business listings are accurate. Though it might not hold the same weight as Google My Business, your profile can also hold a prominent place in search rankings. Once your listings are accurate, the microsites can make your business more visible to more customers. Microsites are custom-built to be search-engine optimized. These sites contain lots of fresh, user-generated content that search engines love. If enough review signals are meant, these microsite pages will start showing up high in related search queries. Paying attention to all of your business listings across all website is pretty difficult. There are plenty of places on the Internet where your business appears. While fixing your Google and Facebook might be easy enough, there are lots of smaller industry-specific sites for you to search through as well. It’s just not time-efficient to manually search for and make changes to every single listing. That doesn’t mean that it’s impossible for your business to have consistent listings across every single site. It just means that it’s really hard to do manually. Staying on top of your listings is much easier with listing management software. With BirdEye’s listing management tool, you can see errors in your business’s listings from more than 60 sites right away. Once you see errors in your business listings, you’ll have the ability to update all of them in one single dashboard. That means you don’t have to scour the Internet, individually making changes to every single listing you have. You can quickly and easily take care of dozens of websites through BirdEye. Plus, listing management software allows you to handle future changes in your NAP more smoothly. If you make an address change in the future, you don’t have to worry about going to the trouble of changing your listings on every site. You can quickly and easily fix your business listings on dozens of sites on the BirdEye dashboard. Business listings are important to drive revenue and get new customers. With BirdEye, businesses can make sure that their business listings are consistent. 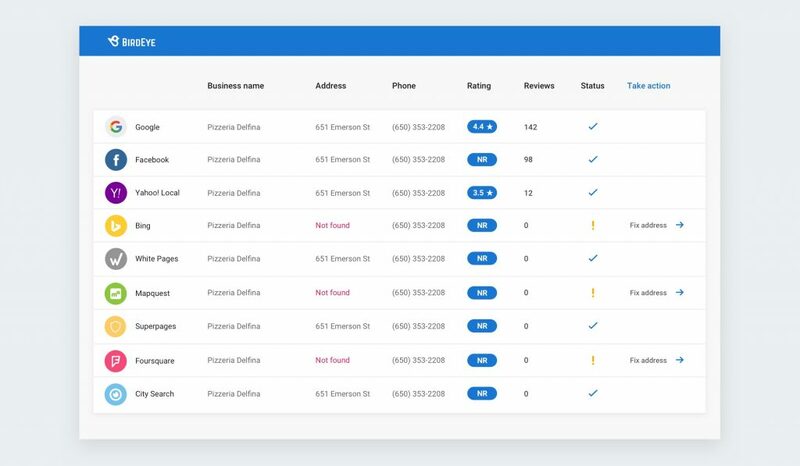 You’ll be able to fix your listings for more than 60 sites within the BirdEye dashboard and make sure your business looks trustworthy to customers and search engines. But that’s not all the BirdEye platform does. With BirdEye you can send automated review requests, manage and respond to reviews from more than 200 sites, share reviews to your social sites, and gain actionable insights from customer feedback. Our all-in-one platform gives businesses everything they need on the journey on the journey to reviews to revenue. 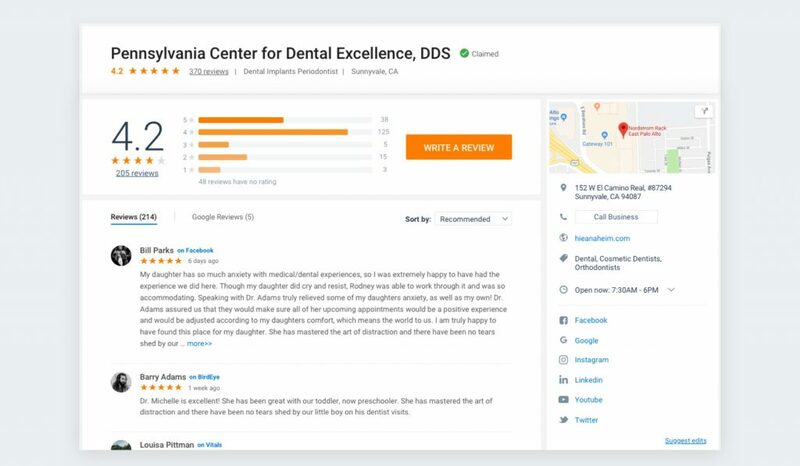 Watch a demo to find out why more than 50,000 businesses use BirdEye to be found online, stay on top of customer reviews, and improve business operations.